Dreaming of an Italian holiday enjoying La Dolce Vita? 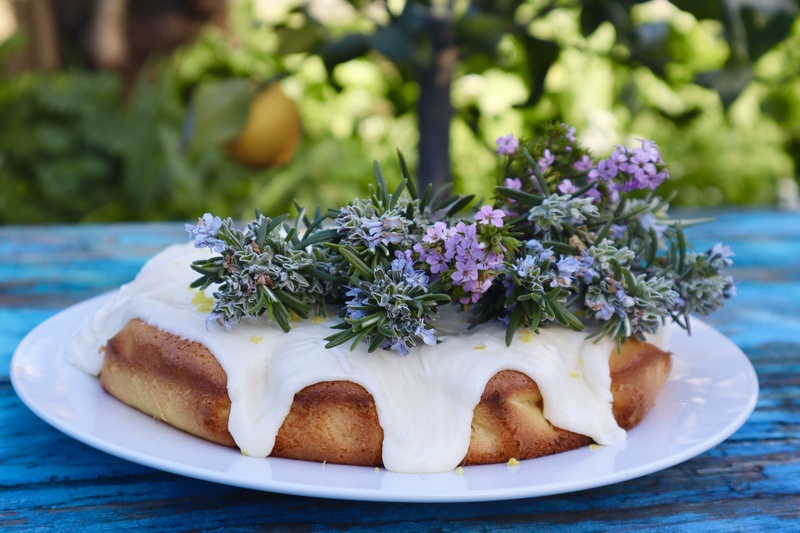 Try this delicious cake recipe which will transport you to the cliffs of the stunning Amalfi Coast with its fragrant lemons, wild rosemary and local olive oil. To make, pre-heat oven to 180 degrees Celsius (350 Fahrenheit). Line a round cake tin with baking paper. In a large bowl beat eggs and sugar until the mix is pale and creamy. Add olive oil, juice of two lemons, lemon zest and vanilla essence and mix until well combined. Sift in flour, baking powder and salt and stir through all ingredients. The cake batter will seem runnier than a normal cake mix but this is exactly how it should be. Pour mix in to the prepared cake tin and bake in oven for about 45-55 minutes. Test with a skewer to ensure cake is cooked through. Remove from oven and set aside to cool. To make cake icing, mix icing sugar, butter, lemon juice and lemon zest until a think icing forms. Remove cake from pan on to a plate and ice. To decorate add whole flowering Rosemary sprigs (optional) and grate over lemon zest. Enjoy! Want more lemon recipes? Try our Zucchini Flower, Saffron and Lemon Risotto or our Lemony, Garlicky Fettuccine with Basil and Tomato. Beautiful cake! May I know the size of the cake tin? Thanks. Hi thank you, yes we should have put that! It’s a 10 inch cake tin (24 cms), we used a springform pan. Thanks!